5 steps of E-Commerce engagement success with Instagram! Posted in: E - Commerce Tags: InstaGram E-Commerce. Social media is booming and so is the power packed channel – Instagram. With its 150 million user base, Instagram is a platform harder to ignore. According to one of the recent studies by L2 Think Tank, Instagram is more effective social media channel giving the brands 25% more engagement when compared to Facebook, Twitter and other social channels. Increasing conversions with urgency: 6 divine ways to explore with Monks! Posted in: E - Commerce Tags: E-Commerce Conversion. Conversions, Clicks, Retention are some of the most popular catch words of E-commerce industry. And now one more in the list – Urgency! Showing urgency will increase conversions – You might already have known this and heard it almost a number of times from all the leading industry experts. However, which are the top ways of creating urgency? 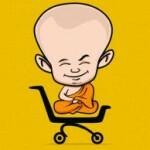 5 Facebook Stats every E-Commerce merchant should meditate! Posted in: E - Commerce Tags: Facebook E-commerce Marketing. Facebook is a place where most people virtually shake hands! With a user base of 1.5 billion and growing, Facebook is ahead in the race against most social media channels except Pinterest. So, why Facebook might be so vital for the E-Commerce merchants? Checkout Pages Design: 6 ways to the heavenly ladder of success! Posted in: E - Commerce Tags: Checkout Pages. Are you killing conversions? Are you battling a lot many cart abandoners with the crack of every new dawn? Go and have a look into your checkout process once again! Easy checkout is a key to any E-commerce website. One of the best practices that most big stores follow is avoiding unnecessary registrations during checkout, making it a simple gateway and pleasurable moment to recollect. The importance of Google Analytics E-commerce tracking! Posted in: E - Commerce Tags: E-commerce Google Analytics Tracking.